Have questions, concerns, suggestions, or general inquiries? Want to share a synesthetic experience? 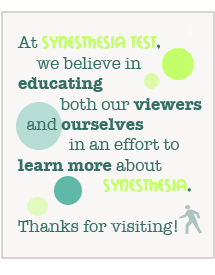 You can also find us on Twitter, Facebook, and Google+, or subscribe to our synesthesia newsletter using the form at right!